Have you ever heard of the Chord Chemist? In part 2 of this special series entitled 4 Great Chord Melody Jazz Guitarists, you’re going to learn about a jazz guitar chord melody player who made a lasting impact on the jazz guitar scene. Ted Greene is who I’m talking about, who many believe advanced solo jazz guitar to its highest point of development. 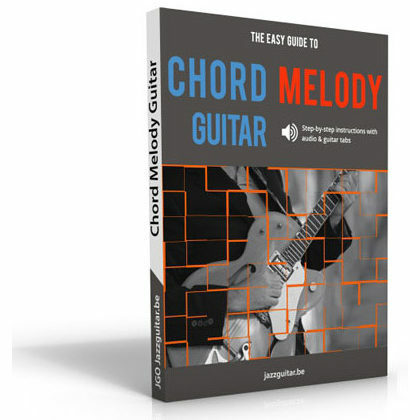 Ted was obsessed with chord voicings, and actually wrote a hefty instructional book entitled Chord Chemistry, which is the most comprehensive manual of guitar voicings ever published. He was relatively unknown to the general public outside of jazz guitar circles, but Ted Greene’s contribution to the understanding of the guitar is profound. His one and only album, Solo Guitar, recorded in 1977, is considered by many to be one of the most important solo jazz guitar albums ever to be recorded – it’s the duty of any aspiring chord melody player to check this one out. Ted was an unbelievable musician, as you’ll hear in the examples below. Ted was born in Los Angeles in 1946 but grew up in White Plains, New York. He began his study of guitar at age 11 and was quickly hooked. Not exclusively being a jazz player, Ted, in fact, played and mastered many styles of music. As his career matured, he tended to either play solo guitar gigs or accompany vocalists, as he found bands too limiting. But most of Ted’s focus was that of an educator, writing a comprehensive series of instructional books on guitar harmony, chord melody and single note soloing. Most of Ted’s day-to-day life was devoted to teaching his many students – there was always a long list of guitarists eagerly waiting for an opening in his jam-packed schedule. I want you to experience Ted Greene’s playing directly, rather than just me talking about it – so here it is! The following performance of Send In The Clowns is from Ted Greene’s album, Solo Guitar. This is my favorite track from this album. To be honest, whenever I listen to it I get tears in my eyes. Ted’s music is powerful and very moving. Rather than just go through a few licks with you in this article, I have something even better. How cool is this – I found complete transcriptions of Ted Greene’s album, Solo Guitar, free to download online at The Ted Greene Archive (tedgreene.com). Click here to go to tedgreene.com to access the PDF transcriptions now! When studying the chord melodies of Ted Greene, it’s best to learn a complete transcription of one of his recordings like this one – it will give you a good overall sense of his techniques and ideas when it came to solo guitar chord melody. Ted Greene is one of those rare musicians that has completely transcended style, and in a utterly non-contrived way. Listen to the video of Send In The Clowns above and ask yourself: is it jazz? Is it classical? Is it film music? Is it pop or rock? I think it’s, in fact, none of these – Ted’s style is something entirely new. Ted’s playing brings to mind the thoughts of Bruce Lee, a philosopher that really inspires me. In the context of jazz guitar, I think Ted Greene managed to achieve what Bruce Lee was talking about here. Ted transcended the limitation of style, and in doing so created his own personal approach. To use Lee’s words, he added something that was uniquely his own. I think one reason for Ted Greene’s incredible skill was his supreme knowledge of Western harmony. Ted was an avid reader of nearly any book of music theory, and was skilled in distilling complex concepts into easy to understand principles for his students – concepts that could, in fact, be applied to any style of Western music – not just jazz. If you want no better example of his ability to combine and transcend style, check out this video of Ted improvising spontaneously over Autumn Leaves at one of his workshops at the request of a student – combining classical baroque music and jazz! Intellectual appraisal aside, the thing I really love most about Ted Greene is that his playing is painfully beautiful – it’s like a window into his soul. After all, his encyclopaedic knowledge of chord voicings wasn’t a means to an end, it was just the foundation upon which he created a unique, personal and wonderfully expressive sound. There has been no other guitarist quite like Ted Greene and I don’t think there will ever be another like him in the future. As I mentioned above, Ted only recorded a single album – Solo Guitar (1977) – but this is required listening for anyone interested in chord melody, and particular solo jazz guitar. If you’re looking for a great read, check out the book by Ted’s wife Barbara Franklin, entitled My Life With The Chord Chemist: A Memoir of Ted Greene, Apotheosis of Solo Guitar, which recounts Ted’s early life and development as a musician, as well as an insightful narrative of the 13 years prior to his death. Something I found when I was doing the research for this article was this page on a tribute website, Memories of Ted, with real life stories about Ted Greene by his many guitar students. Reading these stories paints a picture of not only of an extraordinary musician but, most importantly, of Ted’s kind and generous heart. Finally, check out the resources at tedgreene.com, which has a vast archive of lessons and recordings by Ted. I hope you enjoyed this exploration into the world of Ted Greene, one of my all time favorite chord melody guitarists. Let me know what you think about this article by leaving a comment below! That wraps up the second installment of this four-part series on the great jazz guitar chord melody players. Next week, you’re going to learn about Lenny Breau, one of my own key influences when it comes to chord melody playing. Interesting, a gentle soul who I suspect was thinking on a level way above that of his audience. For your information the Send in the Clowns clip was not available. If you don’t already know, another player where a lot of chord melody solos are available free is Barry Galbraith. Hi Douglas, sorry to hear that the video for Send In The Clowns didn’t work, it might be do do with the regional settings on the Youtube video (sometimes the videos are restricted to be played only in certain countries). Thanks for the tip about the Barry Galbraith solos. Cheers! 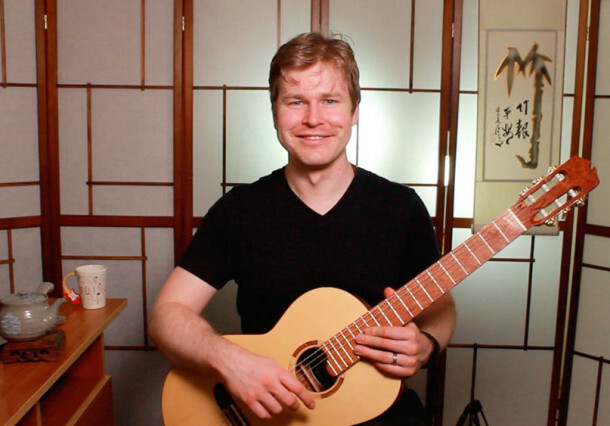 Truly amazing guitarist, thanks for sharing this article and the videos. Ted Greene demonstrates the true potential the guitar! Thank you, Greg, for the introduction to Ted Greene. I was not familiar with him before. The resources you listed are invaluable. i purchased the the album, the books and downloaded the transcripts from the Ted Greene archives – all very worth while. Also, the whole idea of your articles on 4 great guitarists of the 20th century is fascinating – so thanks for taking the time to share your knowledge. Thanks for your kind feedback Michael, more than happy to share what I know! Yes Ted Greene was a unique genius of guitar, it’s really worthwhile checking out his transcriptions and recordings. I still remember when I first heard Ted play……a complete revelation for me during the past year of 2016. I couldn’t believe I was a professional guitarist in Philadelphia during the 1970s, loved all forms of music, and had never even heard of Ted. After watching all of the available videos of him, buying his two most important books, reading Barbara’s book, and reading the comments of many of his students, I honestly believe Ted was the single greatest guitarist that ever graced earth. Tears well up in my eyes when I hear how wonderfully melodic he approaches a tune. I listen to his solo album at least once a week. I’ve seen in person, listened to, and studied most of the best guitar players in the business. In my opinion, none can match Ted’s mental approach to chord melody. There’s just something to the way his fingers approach the music. Absolutely incredible! RIP. P.S. Thanks so much for writing this article…….Ted deserves every guitar player’s respect. Couldn’t have said it better myself Adrian! Thanks so much for your comments and kind feedback on the article.